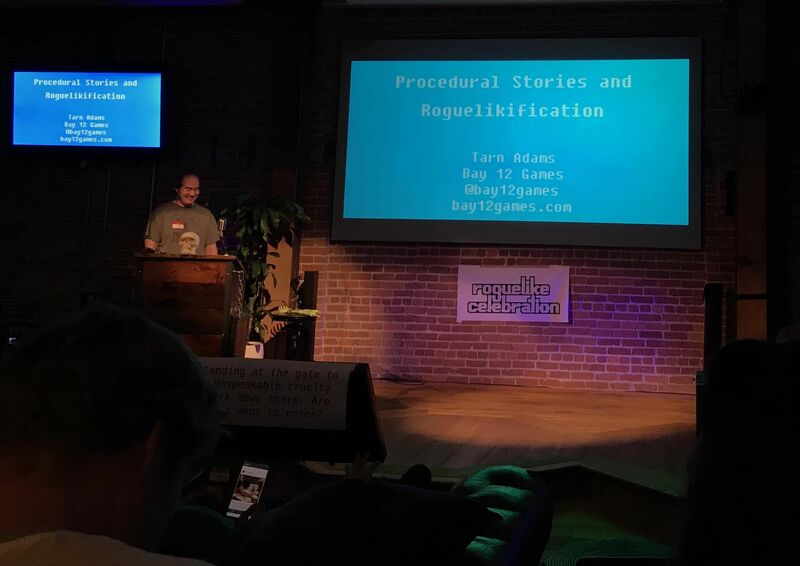 This past weekend I attended the Roguelike Celebration, which I had heard was more of a fan gathering as compared to the developer-focused IRDC… Still, it’s a pretty cheap flight down to SF so I decided to attend based on the recommendation of friends. We thought it would be a good place to show off Auto Fire and gather good feedback from people that are dedicated to the genre. What I wasn’t prepared for was that it was the single best developer’s conference I’ve ever attended, whether that was the focus or not. Informative, entertaining, comfortable, stylish, professional… It was filled with some legendary creators and you’d be hard pressed to find even a shred of ego anywhere. Nothing but mutual respect and support, wall to wall. These people were accessible and open. They were humble and eager to learn themselves. They shared openly. 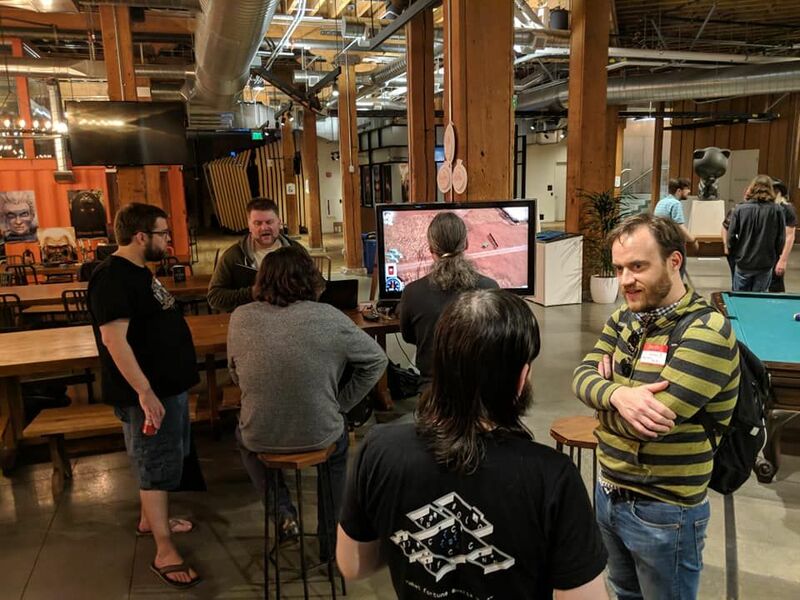 Everyone was positive, whether we were discussing a text-based passion project with the classic @ for the player, or a high-falutin’ mass-market-friendly game using roguelike principles. (Which is good, because I’m aiming slightly for the latter, although I want to stop short of making a “Roguelite”). The first is (of course) procedural generation. This includes not just map generation, but encounter/trap creation, procedural storytelling, god/pantheon/myth/food/whatever generation, and so on. What started as a passion for building noodly dungeon spaces has turned into a community dedicated to crafting entire universes through intensely clever processes. 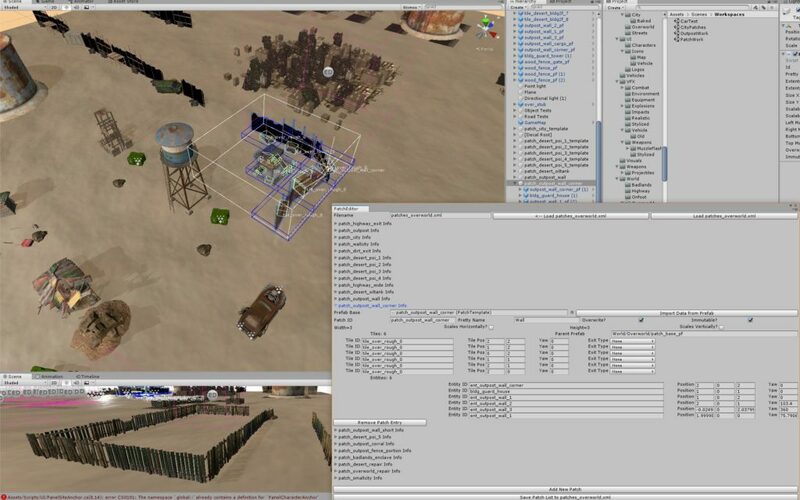 The second is creating a flexible game architecture that allows for nearly infinite rule expansion. A trademark of Roguelikes is that the creators just add on feature after feature for years and years, which lead to so many interconnected systems that have to elegantly support (for example) the player getting polymorphed into some new form that has extra arms, which allows you to wield more weapons, or being able to animate any world object including bookcases and walls, then charming them to becoming your faithful pets. The approach for solving this issue mostly shakes out to a couple core philosophies, but the humility, willingness to learn, and eagerness to share was pretty amazing from these creators… young or old, aspiring or legendary. You can find the videos posted here. Check ’em out. At the end of the first day, they set us up in GitHub’s phenomenal common area with drinks and food and let whomever set up whatever they were working on and showing it off. I had a potato-level laptop that barely ran Auto Fire at 2 FPS, but a fantastic soul named Jaxon (whose last name I unfortunately never discovered) was amazingly cool enough to let me use his super-baller laptop for the night. Jim spectacularly scrounged up a giant TV and we were able to show it at around 100 fps x 55 inches. It was a blast and tremendously inspiring to he feedback was awesome. I got some really good comments on the game and came back with a big list of what sorts of things I wanted to take care of. I am working on the skid model most of all. I just showed it at the Roguelike Celebration conference and got a lot of good feedback. I want players to be keenly aware of how close they are to skidding out, and to be able to better influence their skids once the tires break loose. I think a combination of feedback and control tweaks will help that. I am eager to push into more content so that I get more of a game loop, but UI and feedback will be visited up front. I want to get another update out before I head to Wisconsin next week. 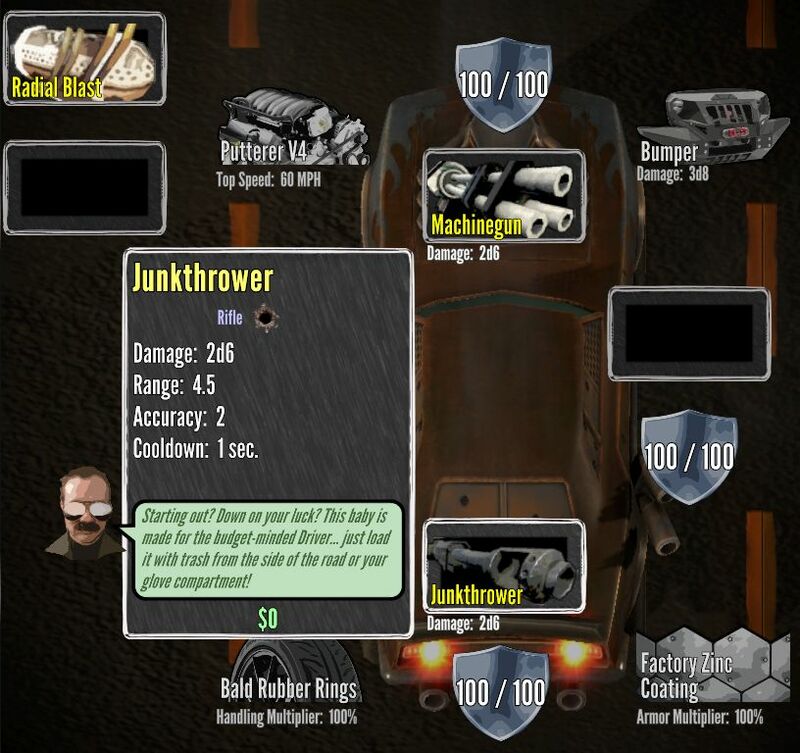 Auto Fire is a turn-based roguelike auto combat RPG set in the roads and cities of the shattered American west. 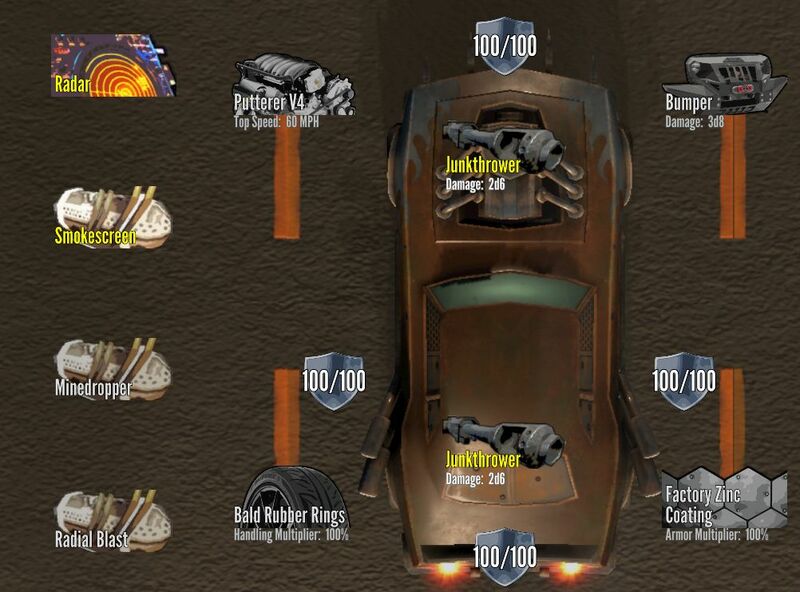 Enhance your vehicle, take on missions and build your name in a world where the only way to thrive is to drive. 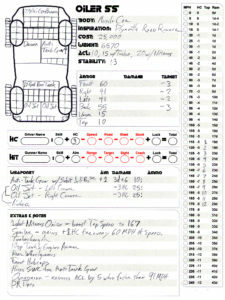 Auto Fire is a deep, randomly-generated experience that combines the free-roaming adventure of games like Autoduel and FTL with the turn-based precision driving of games like Roadwar 2000 and the original Car Wars tabletop game. 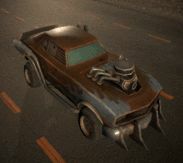 An important part of the game is the player’s relationship with his or her car, and the ability to mount bigger and better weapons and equipment. I’ve been a game developer for 24 years, both as a programmer and a designer. In my past I have worked on titles like Heretic II, Jedi Outcast, X-Men Legends, and Dead Space 2 and 3. These days I do design exclusively for my day job, and I miss programming. 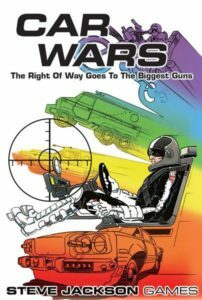 I was also a big fan of the tabletop vehicle combat games of the 1980’s and want to create something worthy of that world. I use Unity 5.6, Visual Studio, Adobe Photoshop. Blender and Perforce when I get desperate. 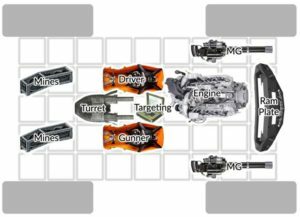 Over the past couple of months I’ve been reworking the weapons systems to allow for special attacks over time such as machinegun bursts and oil slicks. 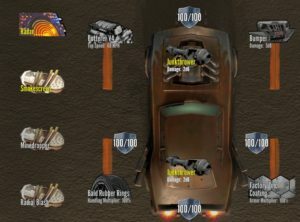 An equipment system is in place that allows for secondary abilities to be mounted on the car such as radar sweeps and targeting computers. 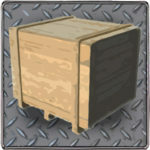 These systems are coming on line as well as a new inventory system. 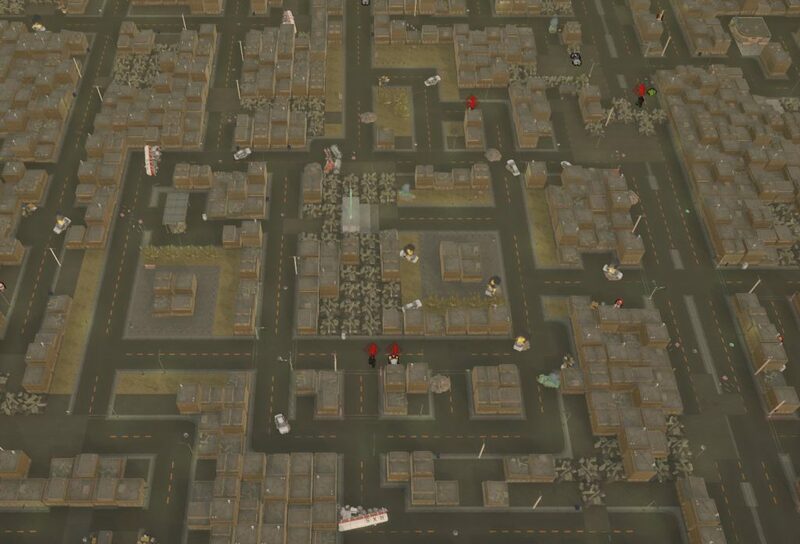 A city map can now generate complex environments with special boss arenas and repair stations. 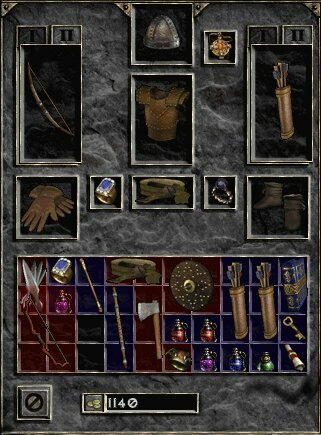 The starting enclave has now been enhanced with new assets. 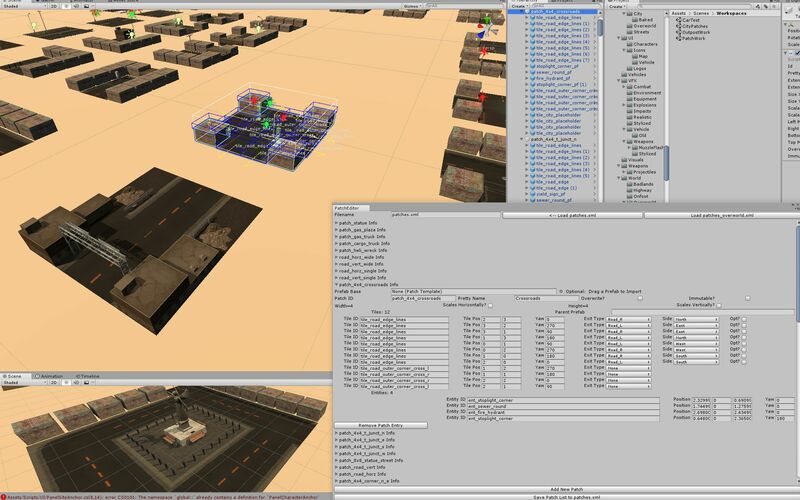 New music, vehicles and effects have worked their way into the build as well. Here’s an update of what it looks like. In the past few days I’ve managed to add a whole bunch of loops to the city generation. This was achieved by adding optional exits to the blocks that I lay down… These are invisible overlays that, if a road tries to enter a block that doesn’t have an entrance on that side, can be stamped down over the existing block to let it link back. It helps a lot with the four-lane highways in particular, which would act like a barrier that didn’t integrate into the rest of the street maze if I didn’t allow it to reconnect. More loops are important because driving and having to turn around is fairly bad… the fewer dead ends the better. Once the map is complete, I put down more obstacles and overgrowth. Then finally I take some Perlin noise to the map and add destroyed swaths, both rubble and driveable stuff, just to add interest. I think I can move beyond generation for the time being. 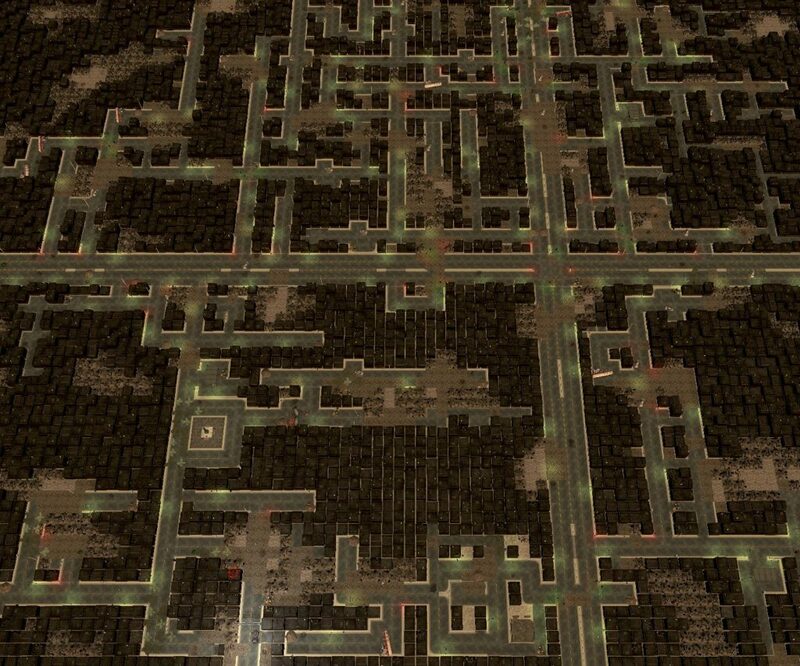 Now it’s time to get fog of war back in so that the map feels more mysterious and ready to explore. Then I’ll lay out a boss battle fortress… woo!